A new species of rain frog was discovered in the premontane forests of the Peruvian central Andes. Referring to the mountain chain's local name, the amphibian's name translates to 'Sleeping beauty'. Another striking thing about the new frog is the contrasting bright red that coats its groins, shanks and thighs. 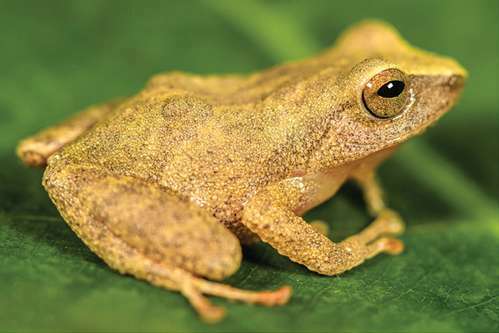 Discovered and described by Drs Germán Chávez, Centro de Ornitología y Biodiversidad (CORBIDI), and Alessandro Catenazzi, affiliated with both CORBIDI and Southern Illinois University, the frog is now published in the open access journal ZooKeys. Like many new species, the new amphibian is also named after the place where it has been found. However, in this case the name is no ordinary one, since the mountain is locally known as Sleeping beauty, reflecting what the local population saw in its panoramic view - a reclined sleeping woman. Therefore, the scientists suggest its common English name to be Sleeping beauty rain frog. The rain frog's colouration is no less impressive. Its bright-red groins, shanks and thighs, set against a predominantly yellowish-brown body, distinguish it from other related frogs at a glimpse. "When we heard the chorus of males, first thought was: such a strange call!" recalls Dr Germán Chávez. 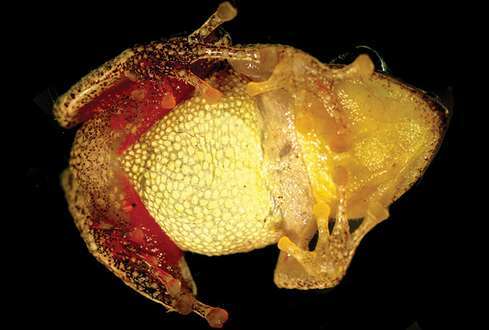 "When we saw this amazing frog, we knew that it is a new species. No other frog has that bright red colour on rear limbs!" The new frog, formally called Pristimantis pulchridormientes (from Latin "pulcher" translating to beautiful, and "dormientes" - sleeping) grows to about 20 mm. It has so far been found at only two localities spread 27 km apart in the Huánuco Region. Its habitat ranges between 1000 and 1700 m in elevation. Although the area is yet to be researched in detail, the authors speculate that due to the very fragmented habitat surrounded by orange plantations and corn cropland, the distributional range of the Sleeping beauty frog is highly likely to be quite disturbed as well. The rain frog genus, where the new species belong, Pristimantis, is one of the most astounding, richest and understudied groups in the Neotropics. Furthermore, within the Tingo Maria National Park the biodiversity has been even more neglected in the past due to terrorism and drug trafficking limiting its accessibility in the 80s and the 90s. 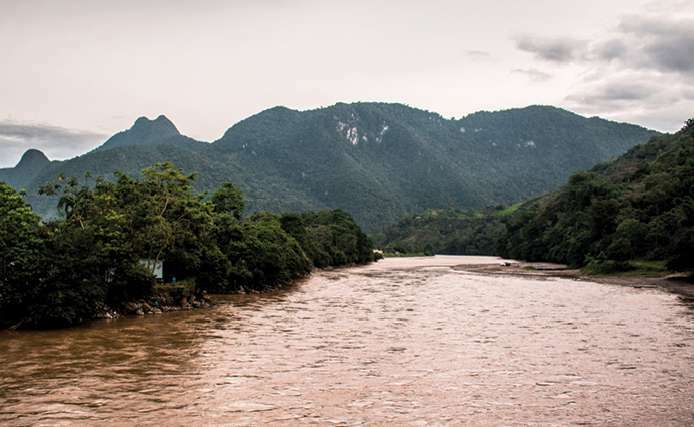 "Tingo Maria National Park is one of most amazing places to watch fauna, and we are convinced that is the main shelter for many endemic species from central Perú, in fact this is one of several discoveries which we hope to publish in a future," conclude the authors.